Military Road winds through through the lower North Shore, passing through Neutral Bay, Cremorne, Mosman and Middle Head. By the time it veers south at the Spit Junction, turning into Bradleys Head Road, you can arrive at Taronga Zoo in under fifteen minutes. 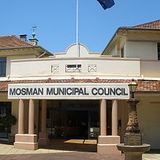 If you were to follow Military Road through Neutral Bay, however, it is possible to turn into Murdoch Street and eventually arrive at the foreshore of Mosman Bay. Harnett Park sits on the shore of the bay. The major attraction of Harnett Park is the extended foreshore walk along Mosman Bay. Starting from Cremorne Point Wharf, the walk extends all the way to Taronga Zoo. With exceptionally attractive harbour views, the walk would be appealing for anyone with an interest in native bushlands. The only caveat to enjoying the walk would be an awareness that the path is unpaved and as a result, may be perilous without the proper shoes. Of course, it is possible to visit the park without exerting oneself; there is provision made for cars to park. Apart from the walking path, there is also a rest park and bushland area for people favouring a more sedentary visit to the park.